Today we’re going to take everything I said yesterday about formal project management methodologies and throw it out the window. 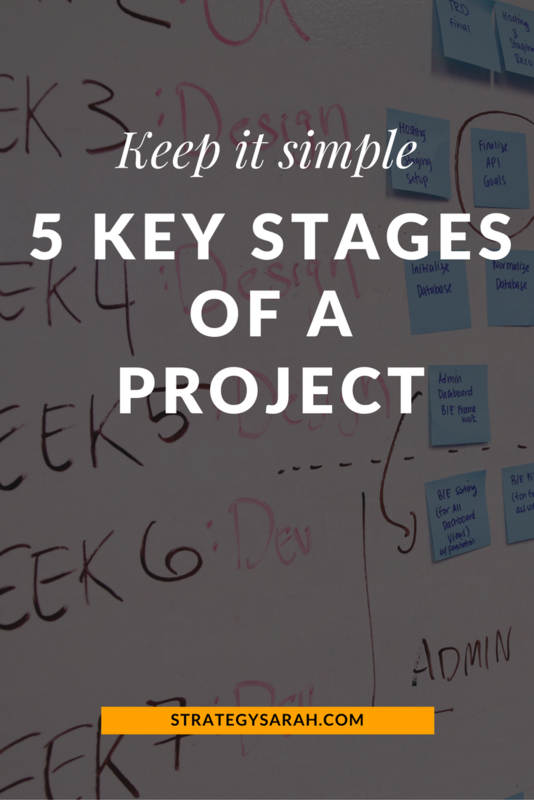 We’re going to simplify to the 5 key stages of a project. 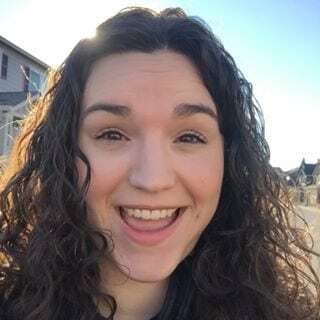 As a creative – a designer, blogger, writer, etc – what do you actually need to know (and do!) in order to complete a project? Extra tip of the day: Do the basics well and you’ll be a rockstar. A surprising number of people don’t do the basics well. The primary objective here is to decide that you’re going to do a project, what the scope of the project is, and ensure that the right resources are prepared to do the project. In this instance, resources includes people, tools and budget. People includes both those within your team and any agency or freelancer that you may engage to conduct the work. Do you really need to do this project? Is there another way that the same outcome can be achieved? What all is included in the project? Who are all the stakeholders involved? What are their roles? Will you work with any outside resources (agency, freelancer, etc) to complete the project? What approvals are needed to start the project? Do you have the time and bandwidth to take on this project? Is this project within your skill set? Have you worked with this client before? How are they to work with? Does the client’s budget cover your rates? 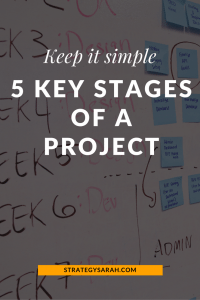 Once you’ve gotten approval to move forward with a project, it’s time to get down to the nitty gritty on exactly what needs to be done in the project. Share the Project Brief with those doing the work. This includes those working within your organization as well as the agency/freelancer. The goal is to include all relevant information in the Project Brief document, but it is always recommended to meet and discuss the Brief to ensure all parties understand what is documented. Did the client deliver a clear project brief? If so, do you you fully understand the brief or have additional questions? If you didn’t receive a brief, have the client complete a Client Intake Form where you lead them by providing questions for them to answer. Are you able to fully deliver on what the client is requesting? If there are any pieces of the project that need to be re-negotiated, now is the time to do it. Note: For small projects with few stakeholders, planning the project and planning the work often blur together. This sounds rather obvious: It’s the part where you do the work. It’s also the part where the project can get lost in the weeds. Hopefully, during the Plan the Project phase, your Scope of Work identified how many rounds of creative you would have, who the stakeholders in each round are, how feedback will be provided, and what the timeline for each step is. So simple, yet so much potential for error. Now is not the time to slack off! By this point, many of us are already looking ahead to the next thing, and it’s entirely too easy to miss little details. Time to dot your i’s and cross your t’s. Review the Project Brief and ensure that every deliverable is included in your hand off. Ensure the file types requested are all sent. Ensure there are no spelling errors, color errors, or any other type of errors. Follow up with the client to ensure that they received everything and that it meet their needs. Review what’s received against the Project Brief. Did the agency deliver everything promised? Review all the files. Are they all accurate? Do this in a timely manner so any last-minute edits can be made before the project teams have moved on. Confirm with the agency/freelancer that you have received all the files, and thank them for their work. Now is the time to conduct a post-mortem. And, if you’re the agency/freelancer, send your final invoice and follow up on payment. What would you do differently next time internally with your team? What would you expect an agency/partner to do differently on a next project? What would you expect a client to do differently on a next project? Is this a client that you would like to work with again in the future? Is this a type of client that you would like to work with in the future? Want more detail on how and when to conduct a post-mortem? You’re in luck! Learn more. After that, it’s time to plan the next project! At least, in a dream world. In reality, you may be working on multiple projects in different stages at the same time – which makes managing projects well that much more important! Learn more about project management for creatives. What stage of managing a project do you do well? Are there any phases you need to work on?